Showing 47 articles from June 17, 2015. LOUISBURG -- By a split vote, Franklin County commissioners approved a budget that raises taxes, pulls more than $1 million from its savings account, cuts some vehicle and personnel requests, while at the same time boosting funding for education. Commissioners Harry Foy, David Bunn and Don Lancaster voted against the 2015-16 budget, instead supporting a plan to pull more money from fund balance to avoid a tax hike altogether. GRAD. 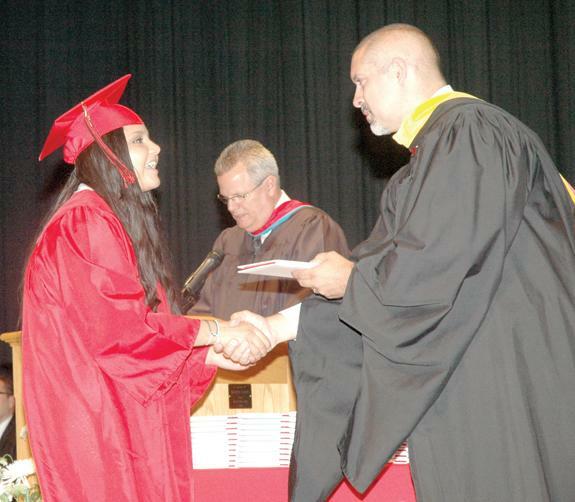 Franklinton's Jessica Castillo Hernandez gets her diploma from Principal Russell Holloman. LOUISBURG -- About 530 Franklin County high school students took part in commencement exercises on Saturday -- experiencing firsts and lasts. The 2015 class of Franklinton High School is the first to have spent all four years at the recently-built school. "You are responsible for paving the way," Franklinton High Principal Russell Holloman told the 224 graduates who made up the class. YOUNGSVILLE -- Commissioners approved a budget that allowed them to give employees a pay raise and expand the town's planning and zoning capabilities. The 2015-16 tax rate will rise from 59 cents per $100 of valuation to 61 cents per $100 of value -- meaning the owner of a $200,000 home could expect to pay $40 more in property taxes. FRANKLINTON -- Commissioners approved a budget Tuesday night that will limit some public services, pare back police protection and dip a bit into the town's savings account, but it won't raise taxes. The tax rate will remain at 72 cents per $100 of valuation. Commissioners and staff began the budget process with a proposal to raise taxes by 11 cents per $100 of valuation to cover a roughly $100,000 gap between expenditures and revenues. LOUISBURG -- After about 20 people huddled for an hour and a half or so last Thursday evening, the consensus was obvious even if the means to reaching it was still fuzzy. The newly formed Library Task Force met in the Louisburg Training Center and quickly agreed that expanding the county's central library in Louisburg was a good idea -- and that a new building is obviously needed. My former editorial page cohort, ace Times staffer Asher Johnson, used to belittle the term "good old days" just about every time he heard it used. The only thing "good" about them, he would say, is that they are past. Reading an old edition of The Franklin Times recently proved the wisdom of his observations. First, let's start with the obvious. Franklin County needs a good central library with easy access, plenty of parking and a variety of resources available to patrons of all ages. Important details, to be sure, but just details. I'm never, ever going to be confused for anyone with an economics background. Why, in this very newspaper, I may have misplaced a decimal point in calculating tax rate impacts. I may have forgot to carry the two when figuring out solid waste fees. And, to be honest, I'm just happy I know how to spell "pythagorean theorem" -- I have no further clue as to its purpose. Two weeks ago, this newspaper published my op-ed in which I speculated that something might be rotten in the State of North Carolina. 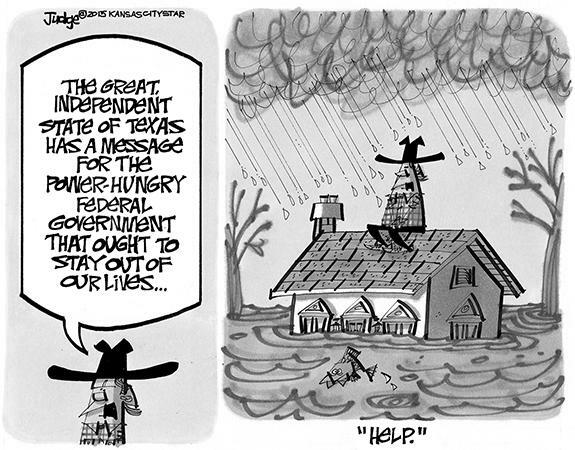 Specifically, I questioned Gov. Pat McCrory's vetoes of HB 405, the Ag-Gag Bill, and SB 2, what I called the Selective Service Bill. What would you say if I told you your property taxes are going up, and the reason is that there simply is not enough money to even maintain basic services? Your initial reaction may be, "What do you mean there is not enough money?" Then after thinking about it you may say, "Well, if it is necessary, I am willing to do my part." Stop the presses! After years of deniability, Franklin County's airport manager admits the airport is indeed broke. Yes, you read correctly, after years of claiming former Franklin County Finance Officer Chuck Murray was inaccurately reporting airport monies, Franklin County Airport Manager Stephen Merritt consulted new Franklin County Finance Officer Mitchell Robinson and indeed had it confirmed the airport is broke. BUNN - Funeral services for Deacon Henry M. Satterwhite Jr., 92, who died Monday, June 8, 2015, were held at 3 p.m. Sunday, June 14, at Bunn Chapel Baptist Church in Bunn, with the Rev. Michael Richardson officiating. Burial followed in the Satterwhite family cemetery. LOUISBURG -- Laura Tant Driver, 85, died Tuesday, June 16, 2015 at Wake Med in Raleigh. A graveside service will be held at 2:30 p.m. Thursday, June 18, at New Hope Christian Church cemetery with the Rev. 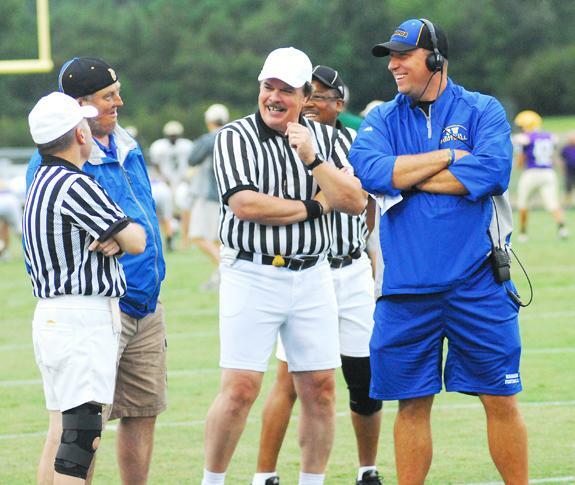 Steve Barham officiating. 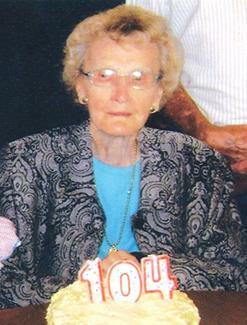 HENDERSON - Margaret Virginia Tharrington Pulley, 91, died on Tuesday, June 16, 2015. ON THE MARK. Bunn's D.J. Daniel gets ready to make contact with a pitch during last Thursday's game against SouthWest Edgecombe. BUNN -- Visitors to the Bunn High School Baseball Complex over the past few weeks have been treated to a glimpse of both the past and future within the BHS diamond program. 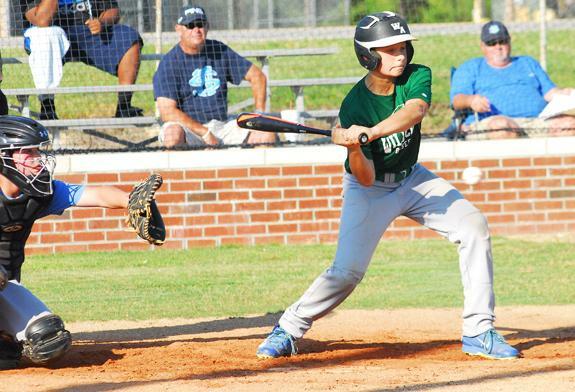 Bunn's current 12-13 Age Group Team in the Nash County Babe Ruth League boasts several performers who are expected to eventually become standouts for the Wildcats. 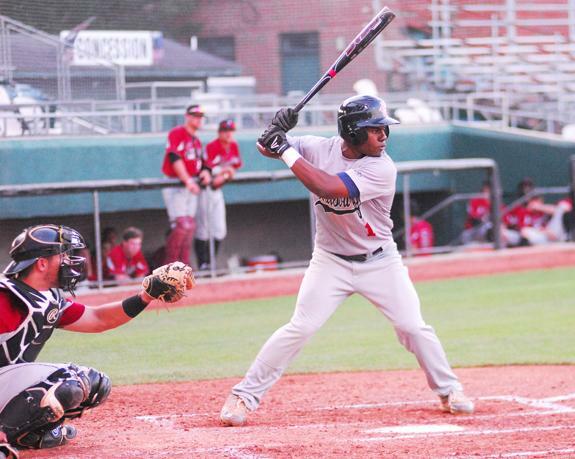 LOUISBURG -- It's always valuable exposure for a junior college when its current or former players are selected in the annual Major League Baseball Draft. Louisburg College enjoyed that opportunity recently when two key ex-Hurricanes were tabbed in the draft. Cedric Mullins, who was LC's Male Student-Athlete of the Year in 2014, was tabbed in the 13th Round by the Baltimore Orioles. ROCKY MOUNT -- After stepping down as Nash Central High School's football coach last November, Kevin Crudup maintained a positive attitude that another opportunity would be coming soon. Crudup's philosophy proved to be correct as several schools contacted him about the possibility of becoming an assistant gridiron skipper. LOUISBURG -- Franklin County's own Redman vows revenge against Vinnie Vain as part of a NWA Rage wrestling card this Saturday at the Louisburg National Guard Armory. Doors will open at 6:30 p.m., with the first match scheduled for 7:30 p.m. Cost is $12 for adults, $8 for ages 6-12 and free for 5-under. 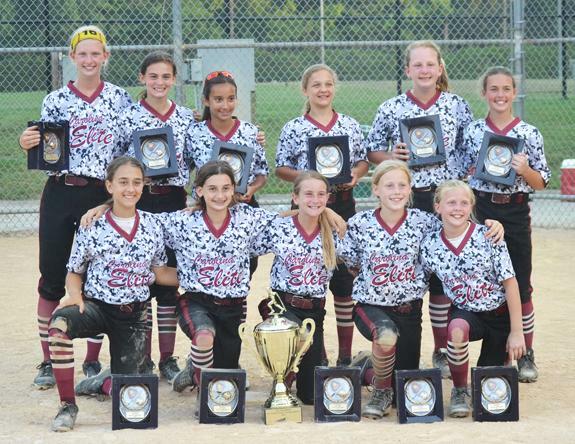 Several Franklin County residents are members of the Carolina Elite '03 Team, which claimed the 12-Under USSSA State Championship last weekend in Garner. The club was coached by Hank Jones and Pat Smith. FREDERICK, MD. -- Sean Godfrey hit a first pitch, leadoff home run off Kevin Gausman in the first and Joe Odom blasted a two-run home run in a six run fourth inning and the Carolina Mudcats won their second straight game 10-2 against the Frederick Keys on Tuesday night at Nymeo Field. Godfrey was 4-for-5 in the game with four runs, three singles and the leadoff home run. 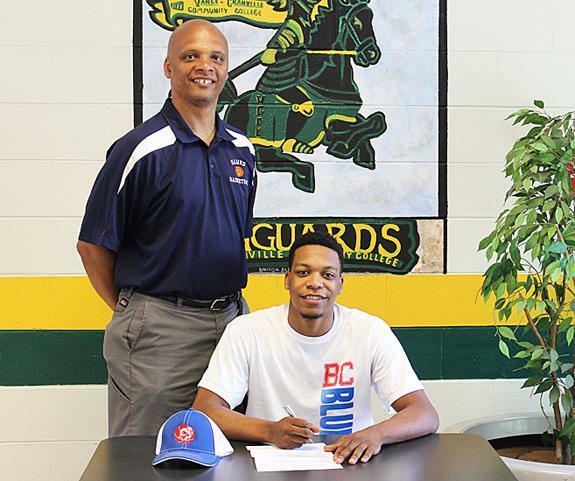 HENDERSON -- Khadier Fulcher of Oxford, one of the leading student-athletes on the 2014-2015 Vance-Granville Community College Vanguards men's basketball team, has signed a letter of intent to continue his playing career at four-year Bluefield College. Fulcher is on track to graduate from VGCC at the end of the summer term in July with an Associate in Arts degree. 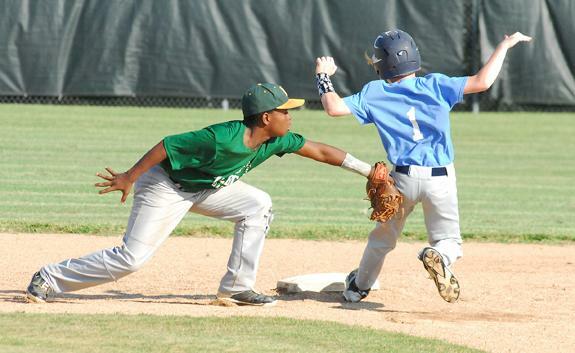 Bunn infielder Jaylen Perry (left) tags out a SouthWest Edgecombe baserunner at second during last Thursday evening's youth baseball game on the BHS campus. 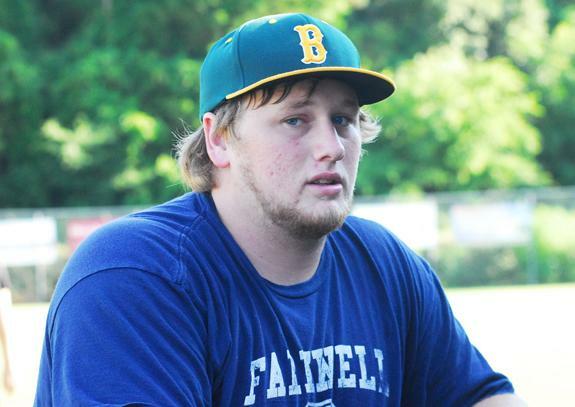 Former Bunn Wildcat Christian Sledge is learning on the job as one of the coaches for Bunn's Nash County Prep Babe Ruth Summer League Team. Sledge is currently a member of the diamond squad at Chowan University. BUNN -- Vollmer Farm is hosting the inaugural Blueberry Music Festival on Saturday, June 20. The event will feature blues and bluegrass musical acts, beginning at 4:30 p.m. There will also be food trucks and beer and wine selections. No outside food or beverages are allowed. Residents of Franklinton, located on the Raleigh and Gaston Railroad, in 1859 enjoyed a brief but thrilling visit by President James Buchanan (1791-1868). The president and Secretary of the Interior Jacob Thompson were on their way to Chapel Hill, to participate in the annual commencement of the University of North Carolina. 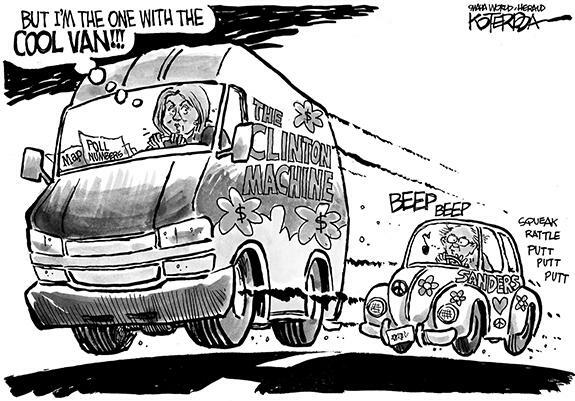 The president's journey took two days. He left Washington on the afternoon of Monday, May 30, traveling by train to Baltimore. A CENTURY AND FOUR MORE! Mary Heading Williams, born June 14, 1911, celebrated her 104th birthday last Saturday at Berteen Wilder's cabin in Bunn with about 60 family members, nieces and nephews present. She is the lone survivor of eight children and still enjoys her vegetable and flower garden and going to Maple Springs Baptist Church where she has been a member for over 85 years. Many farms in Franklin County are divere ... that is, they have many types of income producing enterprises such as livestock, crops, and most even have timber. You have to be careful in marketing timber since how you conduct your sale will have major impact on your overall profit. 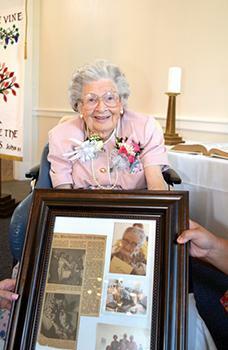 Many guests, relatives, church members, family, friends, and neighbors gathered Saturday afternoon at Trinity United Methodist Church on U.S. 401 to help Mrs. Elizabeth Winn May celebrate her 100th birthday in a similar fashion as her late mother, Mrs. Ethel Malone Winn, did on her 100th birthday in 1979. A formal celebration was held in her honor from 12:30 p.m. until 2:30 p.m. by her son, Willis "Bo" May, her granddaughter Erin May, and the Trinity United Methodist Women. LOUISBURG -- It turns out the answer to a decades old ad question was Franklin County. Last week, about 100 farmers and visitors to Franklin County found out exactly where the beef is. Franklin County served as the host of the annual Five-County Beef Tour, giving farmers and others a chance to share tips, learn new tactics and enjoy the business and pleasure of the beef industry. LOUISBURG -- The Louisburg Town Council made one final tweak to its fiscal 2015-16 budget and got a peek at an "imaginary" Bickett Boulevard Monday night during a brief meeting. The only change to the budget was donating $500 to Louisburg Lions Football and Cheerleading, (which is no longer sponsored by the local Lions Club) and that change came on a unanimous vote. RETIRING PRINCIPAL. Robin Faulkner was surprised with a lot of extra guests -- family, county colleagues, and former BHS staff and administration -- at the June 10 Bunn High School staff luncheon. Mayor Marsha Strawbridge presented Faulkner with a Proclamation of Appreciation, recognizing her 28 years of service at Bunn High School. 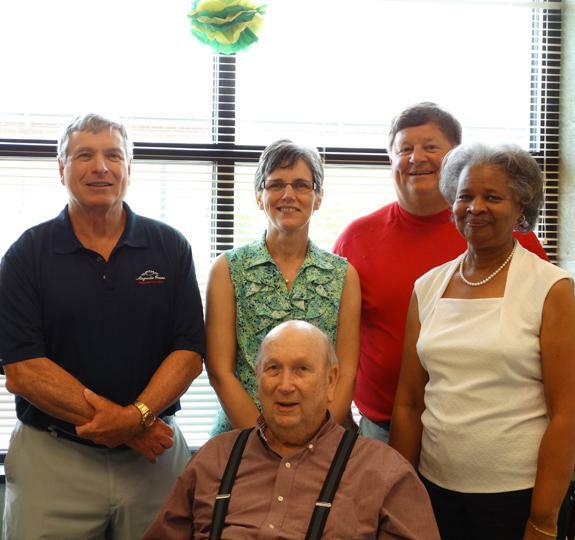 Special guests included all former principals of Bunn High School since June 1973. In 42 years, BHS has had only four principals. 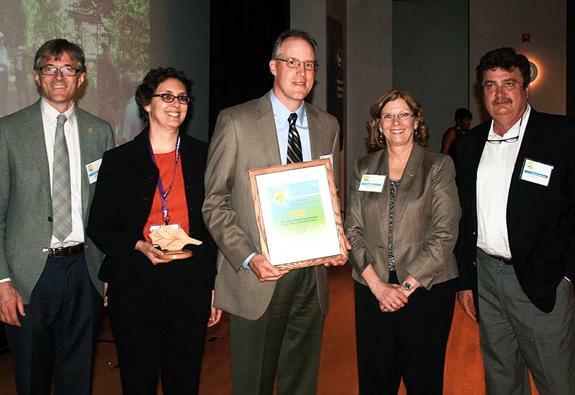 RALEIGH -- The Tar River Land Conservancy received the Regional Environmental Award during Raleigh's eighth annual Environmental Awards ceremony. Raleigh Mayor Nancy McFarlane presented the award during a recent event at the North Carolina Museum of Natural Sciences. Tré Boston, UNC graduate and Carolina Panther, came to St. Paul Presbyterian Church in Louisburg recently to celebrate Athletic Christian Day. He spoke to nearly 50 students who participate in after-school tutorial programs and the Franklin County NAACP Youth Branch. He talks to young people endeavoring to give them hope and a desire to move beyond their situation. LOUISBURG -- The final suspect in a home invasion that sparked a shootout avoided jail time last week. But he couldn't get his record expunged. Investigators allege Alexis Brown and three other men, twins Devin and Traven Riddick, and Quasime Sidney, were responsible for a home invasion on Whites Way in January 2013. Kerr Vance Academy in Henderson recently announced their honor rolls. RALEIGH -- North Carolina Farm Bureau awarded its Ag in the Classroom "Going Local" grant to Franklin County teacher Lynn Hammer of Youngsville Elementary School. North Carolina Farm Bureau provides agricultural outreach grants to North Carolina teachers through its Ag in the Classroom "Going Local" program. WILSON -- Brittney Lynnane Patterson of Spring Hope, a senior at Franklin County Early College High School, is the recipient of a John J. Harper Scholarship at Barton College. The renewable scholarship will cover $20,000 of tuition, divided into increments of $5,000 per year for four years. Patterson is the daughter of Dena and Ronnie Patterson. She will enter Barton College in the fall semester and plans to major in nursing. Vance-Granville Community College's 46th commencement exercises on May 15 made history in more ways than one. 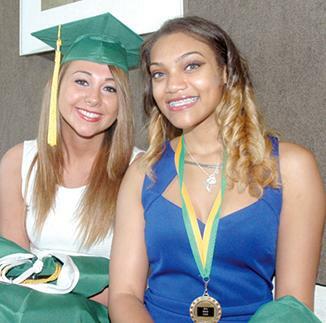 Most notably, the Class of 2015 was the largest in the history of VGCC, with approximately 550 graduates receiving degrees and diplomas. The record-breaking size of the graduating class corresponded with an equally huge throng of family members, friends and other guests in attendance to watch the ceremony, held at the gazebo by the lake on the college's Main Campus. Diploma programs are listed first, followed by Associate in Applied Science degree programs and finally the Associate in Arts and Associate in Science degree programs. Names marked with an asterisk (*) are predicted to graduate on July 27, 2015. Vance-Granville Community College recently celebrated the graduation of the first class from the two-year Paralegal Technology degree program. Also worth celebrating was the fact that by the time they graduated, some of the students had already secured employment in their chosen career field. A group of students from Vance-Granville Community College recently received scholarships through the Golden LEAF Scholarship program for the North Carolina Community College System. Dauline M. Singletary of Franklinton, recently graduated from North Carolina Central University in Durham. She is the daughter of Rudolph Singletary of Washington, D.C. and Alice Greene, of Franklinton. Singletary received Bachelor of Science Degree in Public Health Education with a concentration in Community Health Education. RALEIGH -- Hannah Styers, a sophomore at Franklinton High School, served as a page for the North Carolina Senate this week. Hannah was sponsored by Senator Chad Barefoot (R-Wake). While serving as a page, Hannah was able to assist members of the Senate during committee meetings, on the Senate Floor and in individual Senate offices. Students who completed Vance-Granville Community College's two-year Radiography program were honored in a May 11 pinning ceremony in the college's Civic Center. A handful of those 26 graduates are from Franklin County.